is physically related to its constellation's other beautiful member, The Whirlpool. Both are about 37,000,000 light-years distant from us. The Sunflower was the first discovery of Messier's friend Pierre Méchain. 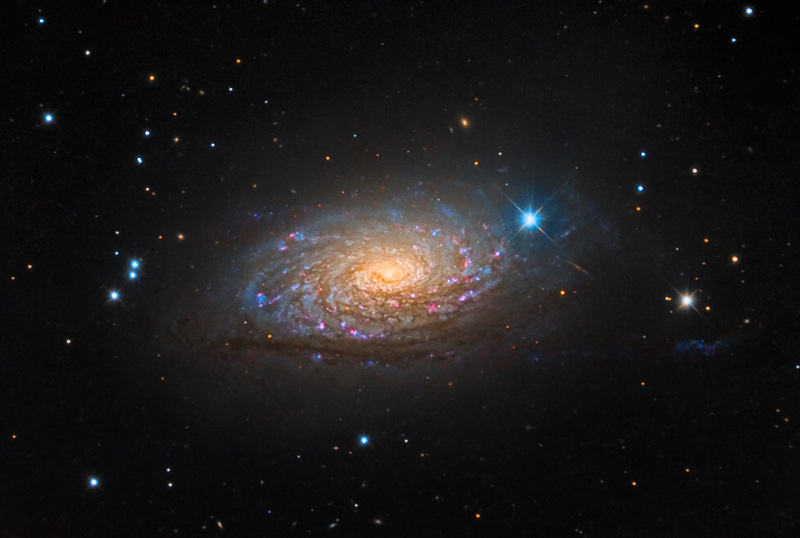 The staggering distance does not dilute the galaxy's beauty, truly reminiscent of a sunflower standing in a warm French meadow. Many thanks to Misti Mountain Observatory for this very nice data from the 32" R-C.